“A really early variety which will start to fruit at the beginning of June. This variety has the perfect strawberry shape and is a beautiful glossy red colour. 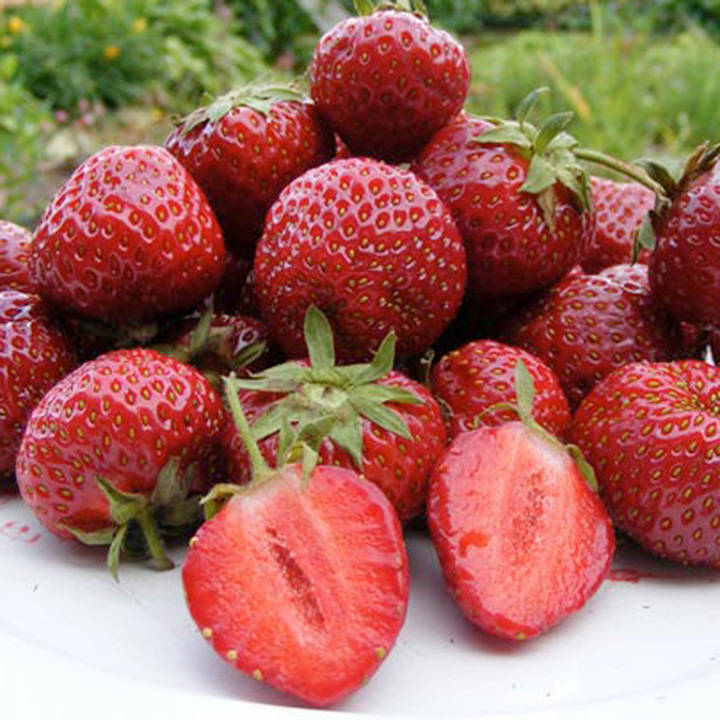 This and the fact the fruit are probably the best tasting early variety, makes it the quintessential british summer strawberry which you will love to grow.” Harvest June-July. Growing your own fruit has to be one of the most rewarding things any gardener can do. Not only can you grow varieties that you’d be hard pushed to find in any greengrocer, but you can grow the more expensive fruit, saving money along the way. Included in my fruit range are varieties I’ve grown for years on my allotment and in my garden, all of which are firm favourites of mine, my family and friends. Ideal for beds and borders, patio pots and containers, greenhouses. Prefers full sun or shade.